When planning your destination wedding, hair and makeup tends not get the planning attention it deserves, especially when planning a beach wedding. 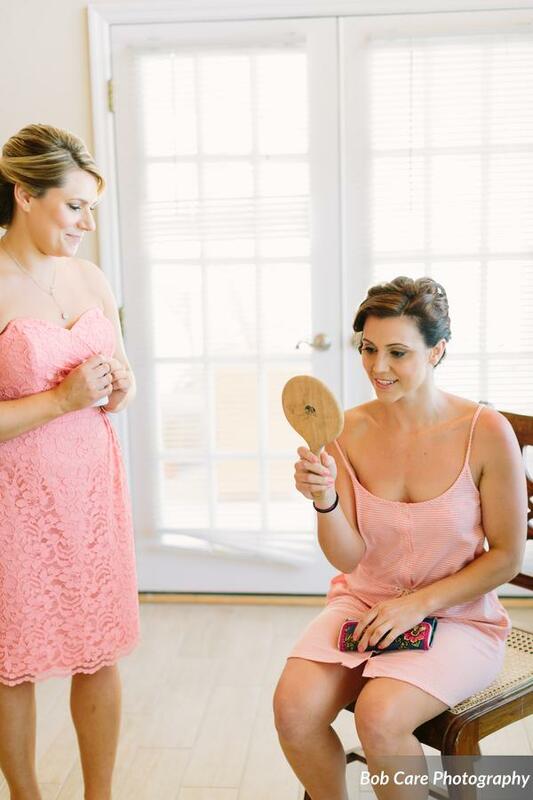 As a wedding planner in the Florida Keys, Ive seen a few hair and makeup mishaps and I’ve come to know of some great tips id love to share. 1. Hair and Makeup Trial is a must. Its important to not only spend the time to meet your hair and makeup artist, but to take the time to have a trail run. 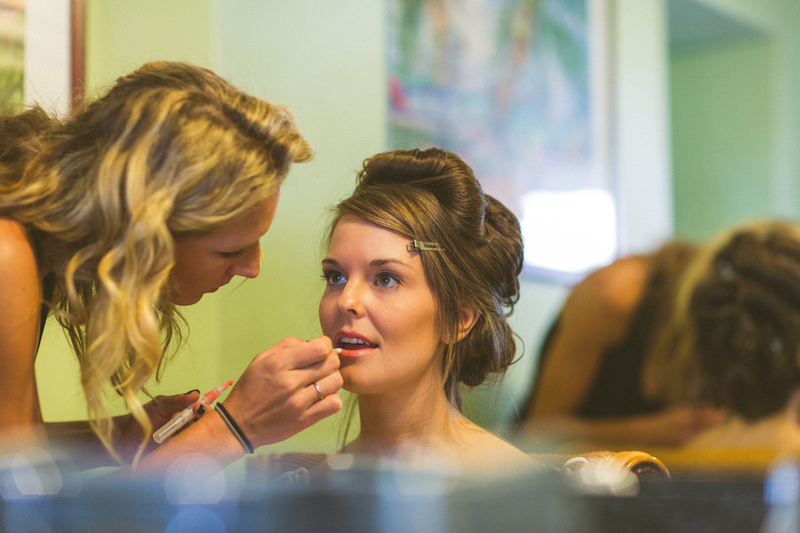 Firstly, your hair and makeup artist will be with you getting ready for a long time on your wedding day. Make sure you get along, and you like their presence. Out of all the wedding vendors you hire, you will most likely be spending the most time with this person, especially if you have a large bridal party. The trail isn’t really to make sure this person can successfully braid your hair to the side. Chances are you are hiring a professional and they will be at a professional skill level. You want to have a trial run so you can test out the makeup they use to make sure it suits your skin and to make sure it lasts. You also want to make sure the look you are envisioning on yourself actually looks good. Allot of times the style will change in the trial because the look really wasn’t suiting for their hair type. 2. 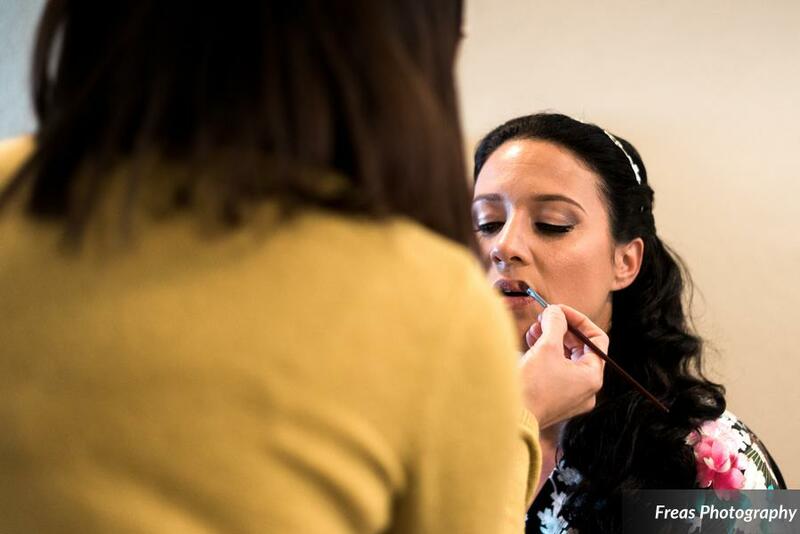 Design your hair and makeup style to go with the look of your wedding. If you are going for a classic, romantic wedding design, you might want to encompass that in your look. A good way to grasp ideas that would suit your look would be to consult with both your designer and your photographer. Allot of the times, photographers get overlooked as a good source of design advice. Since they are always the one shooting the wedding couples, they may be able to let you know what style of makeup would look best with what you are trying to achieve. 3. Matte verses Shiny. I would always suggest to go with a more matte look when it comes to beach/outdoor weddings in the Florida Keys. Having that dewy glowing skin is a beautiful look, but when you are already out in the sun, its best to start with a matte look in case you actually start to get hot. Also, blotting tissues does wonders for touch ups before pictures, and it tones down that sweaty look you can get while under the sun taking pictures. For more tips and tricks, contact Blue Water Weddings to help plan and design your beach wedding in the Florida Keys.